Today was the end of the 3rd week of AICM, so far we have been doing reviewing. The classes are great, the teachers are very knowledgeable and they give you exactly what you need to know for USMLE; the pointer that they give is very useful for answering questions but still not many people are able to take advantage and now many of the people have started to skip or leave early. Its not the fault of the teachers or the program, the problem is simple, Most people don't have the strong Base or knowledge to benefit from the review course. Just to avoid having one big post, i'll make two post, let me explain the what have been happening so far then i can explain in the other post how to better prepare yourself. So just to let started, this is a picture of Jackson Park hospital, sorry couldn't get the whole hospital, there is staples, wal green and some other grocery shopping place around it, we had no problem with any security so far, in the daytime things are usually safe. 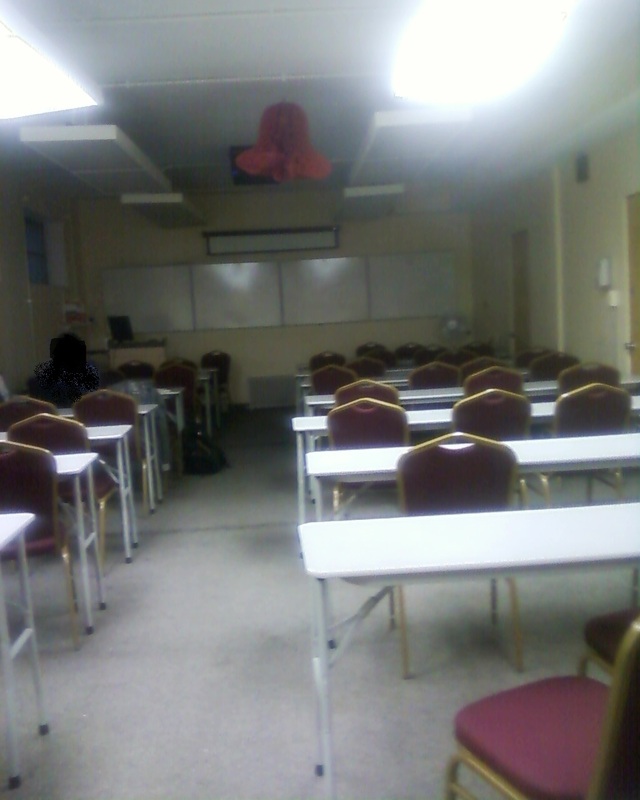 This is our classroom, we start at 8 am and classes go till 2 pm, we usually have a 10 min break after every hour and a 30 min lunch break in between. Class size is mostly around 30-40 students (estimate); majority of the students are from SJSM (Bonaire and Anguilla) and there are some from Atlantic university. 7 comments to ''AICM / 5th semester"
Good blog post, Plants are the rich wellspring of sustenance for us and for animals moreover and preparing makes us prepared to appreciate the importance of plants for the duration of our lives and try this we should work for the advancement of plants and trees in our condition. I like your dedication towards your work.You do complete effort to make your idea works www.personalstatementexample.net/the-example-of-personal-statement-for-nursing/. Thats really something appreciable.I got impressed by your this thought provoking article. Hey Anna thank you for posting the great blog on 'Putting Together Your First Camping Supply Box', it will be a great help for the people who are check it planning a camping trip. Great article, As the actuality from the scenario is actually individuals have to think about as well as value the actual way when their own each and every wanting as well as require calculates because proven through their very own goals as well as wants through go to pagesite exactly how lose interest their own existence may progress towards dealing with end up being for them.